Do hearts and arrows diamonds look bigger than non-ideal cut rounds? 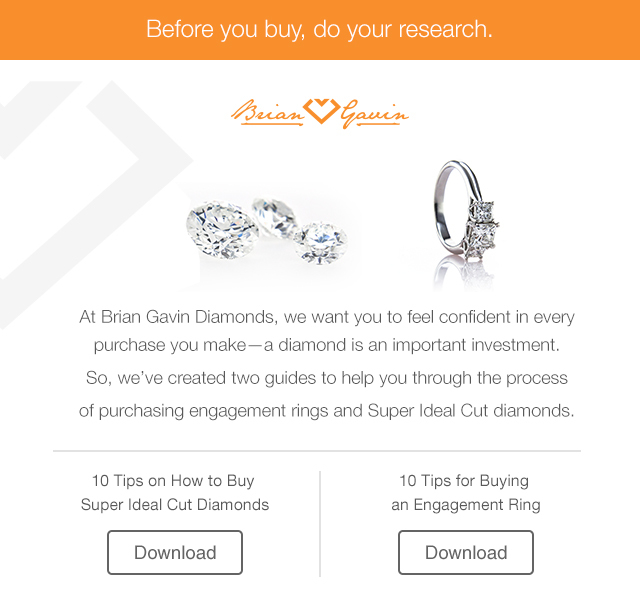 Brian Gavin Blue vs. Brian Gavin Signature Differences in Asset Images for High Performance Diamonds 2 carat diamond solitaire engagement rings for 30K Does clarity matter on a diamond less than 1 carat? Are your VS2 & SI1 diamonds always eye clean? What are the Standards for Ideal Cut Diamonds? I’m wondering whether hearts and arrows diamonds look bigger than non-ideal cut rounds. I’ve read that H&A diamonds are brighter and face-up whiter. While some people also say that they face-up larger and other people say that they look smaller. 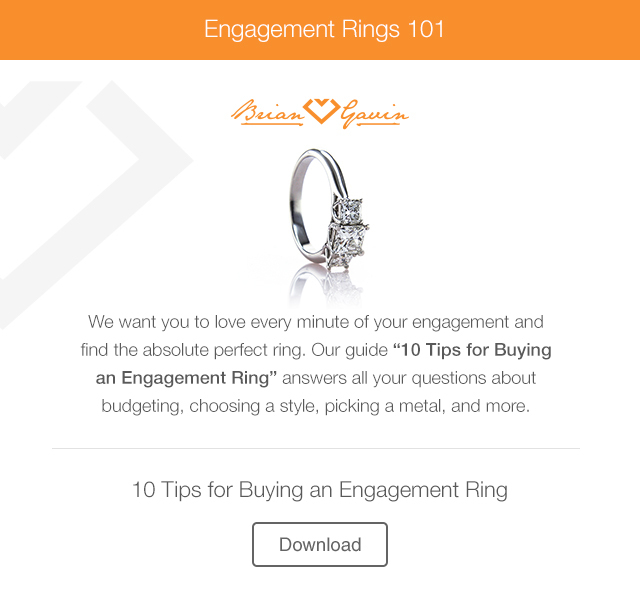 Of course, I realize that much of this depends on who is looking at the diamond and what kind of diamonds they primarily sell. Which probably explains the conflicting advice that I’m reading online. 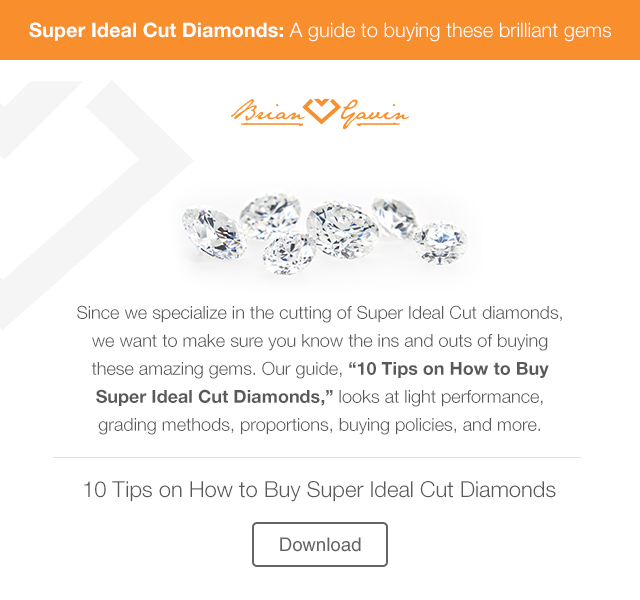 Hearts and Arrows super ideal cut diamonds offer many benefits. Not the least of which is that they do tend to look bigger than standard ideal cut diamonds. The reason why hearts and arrows diamonds appear to be larger than other diamonds is that they exhibit edge-to-edge brightness. The combination of proportions which represent the middle or “target zone” for the zero ideal cut proportions rating, and a higher degree of optical precision, creates a higher degree of light return and sparkle which is more vivid and intense. 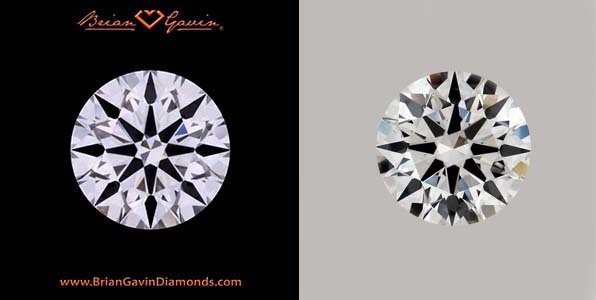 Which “Ideal Cut Diamond” looks brighter to you? 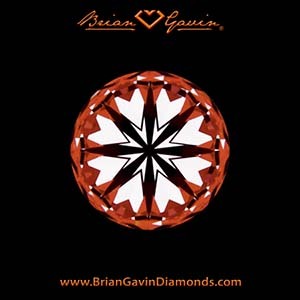 If you’re like most people, then I’m going to assume that you prefer the Brian Gavin Signature diamond on the left because it faces-up brighter and looks whiter because of the higher degree of optical precision. 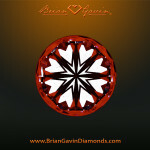 Notice how light reflects throughout the Brian Gavin diamond more evenly. Also, notice how the light reflects across the diamond from edge-to-edge. While the middle of the GIA Excellent cut diamond on the right appears to be darker which means that less light is reflecting under the table facet (or more light is leaking out from under the table facet). Now, what about those light brown and darker shapes along the edge of the table facet of the diamond on the right? 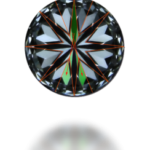 If this diamond were submitted to the AGS for grading on the Light Performance grading platform, then those areas are likely to show up as green (secondary brightness) when they should be red (primary brightness). 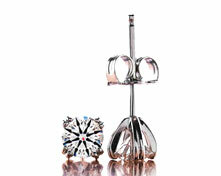 It doesn’t take a rocket scientist to see why hearts and arrows diamonds look bigger than standard ideal cut diamonds. The higher degree of light return and edge-to-edge sparkle factor makes them seem larger. While the darker middle section and outer edges of many standard ideal cut diamonds make them seem smaller, especially when the diamonds are viewed from a distance. By the way, did you notice how the kite-shaped bezel facet around the tip of the arrow in the six o’clock position of the GIA Excellent cut diamond pictured above looks like the tip of a canoe paddle because of how the light is reflecting around the edge of the arrow tip? That’s the kind of thing that diamond cutters like Brian Gavin know how to avoid by cutting diamonds to a higher degree of optical precision. But most diamond cutters won’t take the time to fine-tune their diamonds to that level of precision because they either lack the skill or don’t want to take the time. It’s a little-known fact that it takes up to four times longer polish diamonds to this level of perfection. At the same time, why would anybody who takes pride in their work settle for anything less if it was within their skill set to produce diamonds of this caliber? 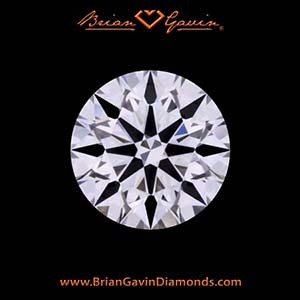 If you’re anything like Brian Gavin, you won’t settle for anything less because you know the value of craftsmanship and appreciate knowing that your diamond exhibits the best light performance. Diamond Cut Quality or Carat Weight? This entry was written by Danny, posted on November 12 at 11:48 pm, filed under Diamond Education. Bookmark the permalink. Follow any comments here with the RSS feed for this post. Trackbacks are closed, but you can post a comment. 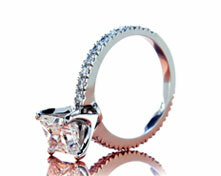 Find a wide selection of the highest quality Brian Gavin Signature diamonds in multiple shapes and cuts.